Choose from an array of hotels from more than ten destinations from budget hotels to five star resort, from boutique hotels to individual apartments, we have it all. We provide a wide range of vehicles for your itineraries to make a comfortable itinerary for different itinerary destinations. And all this is just done in a blink of an eye. To start selling a destination you don´t have to be its expert with Click Paramount. We have done the whole research and you just have to select it for your customers. In this busy life, be reachable to your client or to your office, anywhere anytime. You have a handy office. Send the quote to customer instantly from anywhere you are. 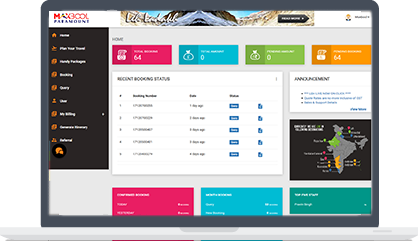 Keep a track of your staff performance, the bookings, the sales, right at your dashboard anytime & where ever you want. Click Paramount offers a tool where you can select the best local activities and tours. Your entire holiday is designed as per your requirements,so that you can always have an exceptional experience. Explore your interests at your own speed. Choose the add-ons like water sports activities, extra sightseeing, candle light dinners etc as per your interest. The quote is all set for your client with fully loaded enjoyment. 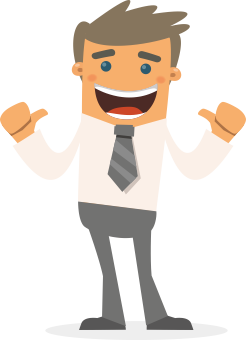 Email your quotes to client with a variety of options even without opening your mailbox. Save tree, as we promote paperless reservation system. Now the client can carry the vouchers in PDF format. 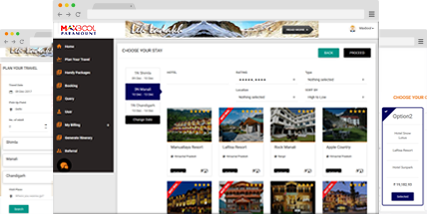 Click Paramount is a search engine which gives you an extensive price comparison of hotel & vehicle. Variety given by Click Paramount tool is phenomenal. 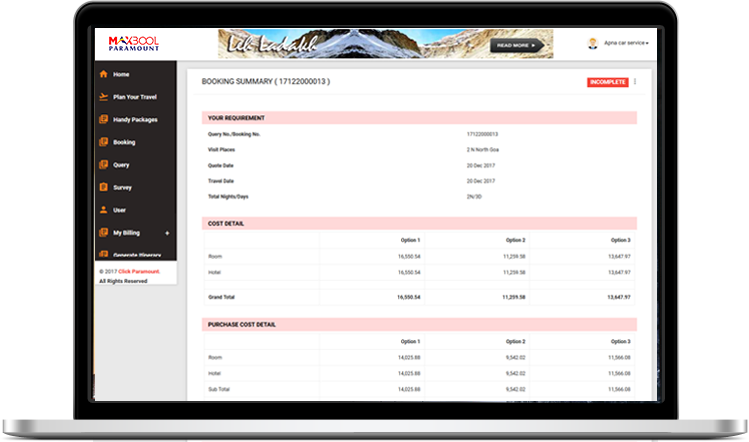 You can book only hotel OR Hotel + Vehicle offline with us. Easy to use, just point and click. We are working hard each day to fulfill a promise of offering the single most comprehensive travel experience to our trade partners. © 2019 Click Paramount. All rights reserved.